This story was originally published at www.proactiveinvestors.com on May 26, 2016 and featured in The CSE Quarterly. One would think that with a track record like Urbana Corporation’s (CSE:URB; TSE:URB) the chance to buy its shares at a discount would be almost non-existent. At an annual return based on net asset value exceeding 14% since it was launched in 2002, Urbana easily ranks as one of the better performing investment companies on the block. Puzzling then that its stock is priced around $1.97, while its per-share net asset value is closer to $3.50. “Since October 2002 the rate of growth has been just under 14.54% but the share price is at a significant discount to the asset value, to an extent due to lack of coverage,” explains Thomas Caldwell, Urbana’s President and CEO. 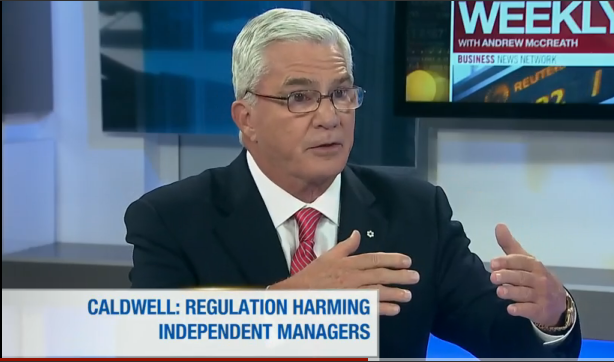 Caldwell, of course, is also Chairman of investment dealer Caldwell Securities Ltd. He is well known on Bay Street and Wall Street for making big returns from investing in stock exchanges. “At one point we owned 37 exchanges,” Caldwell notes. That legacy remains a major part of the Urbana investment approach, reflected these days more so in the heavy portfolio weighting in companies involved with the financial industry, be they major banks or service providers to the mortgage business. “That is where I spent most of my career and is an area we like to think we understand,” Caldwell says. In many ways, Urbana is structured to offer investors the best of all worlds. It has just shy of $200 million under management, about 55% in public investments, plus 45% in private investments that its shareholders would almost certainly be otherwise unable to access. Well-represented sectors these days include US financials, which Caldwell says make up 32% of the portfolio, while a recent move into a set of holdings he calls “Canada Inc.” saw Urbana take meaningful positions in Barrick Gold (TSE:ABX), Suncor Energy (TSE:SU) and Teck Resources (TSE:TCK.B). 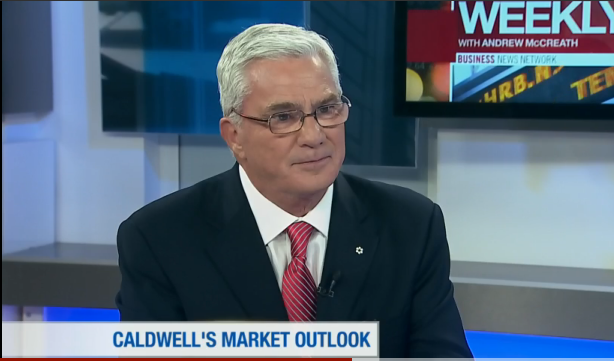 “Our Canadian banks are up 10%, Suncor is up a few percent, and Teck is up 100%,” Caldwell explains. One of the CEO’s favourite holdings is a private company called Real Matters. Real Matters runs a technology platform and network of more than 100,000 independent field agents that help financial institutions and other entities in the real estate business perform appraisals, insurance inspections, title searches and mortgage closings. Its customers include 60 of the top 100 mortgage lenders in the US and a number of large insurance companies. Caldwell sees Real Matters eventually listing in the public realm via an IPO, a path that Urbana likes its private investments to move along as they grow and mature. Another successful holding on the private side that anyone who follows Urbana will be aware of is the Canadian Securities Exchange, in which the investment company holds a major stake. Caldwell also serves as the exchange’s Chairman. 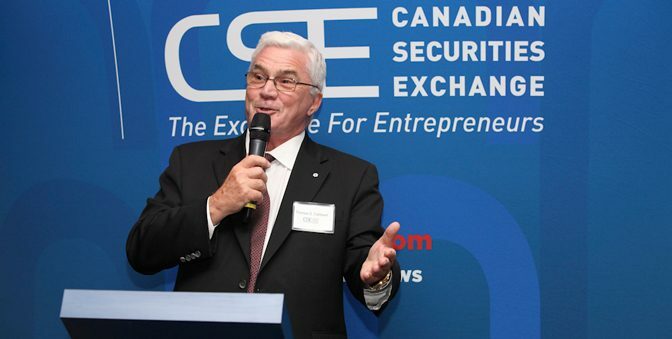 “The CSE fills a role that I believe, and my directors and partners believe, is important to Canada,” explains Caldwell. “Canada is an entrepreneurial country but it is very hard to build a company here because we are losing a lot of independent dealers and don’t have the big venture pools like they have in Silicon Valley. So what the CSE can do as an exchange is to simplify the role of accessing capital.